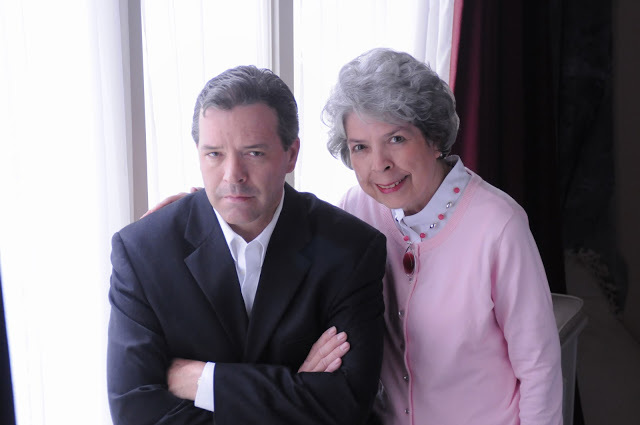 The Denver-based book club, Crime & Beyond, recently discussed an Anthony Horowitz book and Kerry Hammond is here to tell us what they thought. 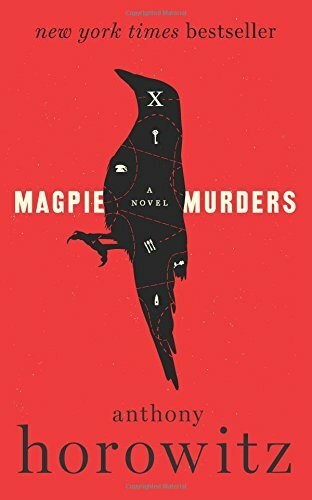 Magpie Murders by Anthony Horowitz was a book within a book. Two whodunits in one. A traditional mystery set in the 1950s and a modern day murder stemming from it. Anthony Horowitz is a very prolific writer of fiction, writing for television, movies, and books. We suspect he doesn’t sleep, which is how he finds the time to write as much as he does. However he manages it, we are very pleased that he does. In Magpie Murders, Editor Susan Ryeland receives the latest manuscript from famous author Alan Conway. It is his latest novel to feature his well-loved detective, Atticus Pünd. As Susan reads about Pünd’s latest exploits she is convinced there is more to the story and that Conway’s book may be something other than fiction. We loved this book and there were so many twists and turns, so many different clues and threads, that we could have discussed it for hours. We liked all of the intricacies of the story and how each and every issue was wound around and threaded through. The nursery rhyme theme was something that you would read in an Agatha Christie novel, along with the clues that were peppered throughout the story and the small village setting where everyone had a secret – but only one led to murder. This is a wonderful book club read because there is so much to discuss. A few club members even mentioned it was one of the best books we’ve ever read as a group. That’s high praise indeed. Our guest today on Drinks with Reads is author Devon Delaney. 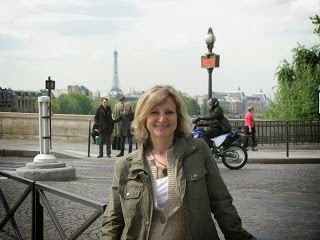 In addition to be a writer, she's an accomplished cook and won the first cooking contest she ever entered. 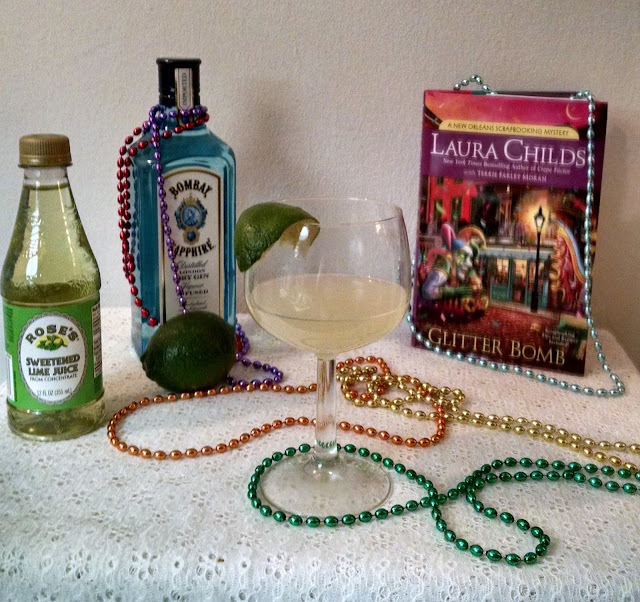 Now she's cooking up cozy mysteries and she made us a sparkling drink to match her latest novel, Final Roasting Place. This is the second book in the series, and you can read about the first one here. Now, let's see what she has to say about Final Roasting Place. In the second book of my cooking competition murder mystery series my main character, Sherry, has returned to her maiden name, Oliveri, with her divorce imminent. She works part-time job helping her father, Erno, with his hooked-rug business, while continuing her full-time passion, competitive cooking. Competing in a cook-off final at her local TV station, she makes short work of her competition. Having her father in attendance makes the victory all the more sweet. Before Sherry has time to savor the win, events sour as a storm knocks out power to the studio. When the power is restored, the young anchor is found dead at her desk with a sharp object lodged in her neck. The weapon is an unusual tool, used by craftsmen who make hooked rugs, the rugs Erno Oliveri sells at his shop. Someone has made the TV station breaking news and framed Erno in the process. If Sherry’s going to protect her dad and their family name, she has to piece together seemingly insufficient clues to knock her father off the suspect list, while not becoming a victim herself. 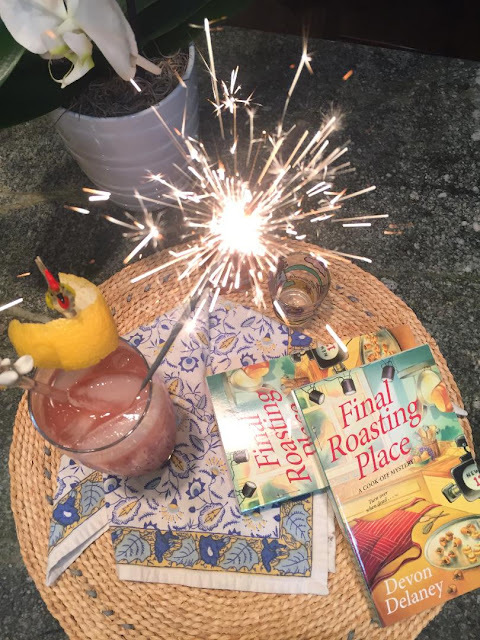 When I considered the perfect cocktail to cozy up to while reading Final Roasting Place something sweet and sour came to mind, reminding me of more than a few of the book’s characters. The first sip tastes sweet on the tongue before things turn lemony sour, building up to a bourbon-fueled climatic punch in the gut. Like the ending of a perfect mystery even the unlikeliest parts of the cocktail come together and you can’t wait to go back for another round. In a shaker filled with ice, add all of the ingredients and shake until chilled. Strain into an ice-filled glass. Top with a lemon peel and a cherry. 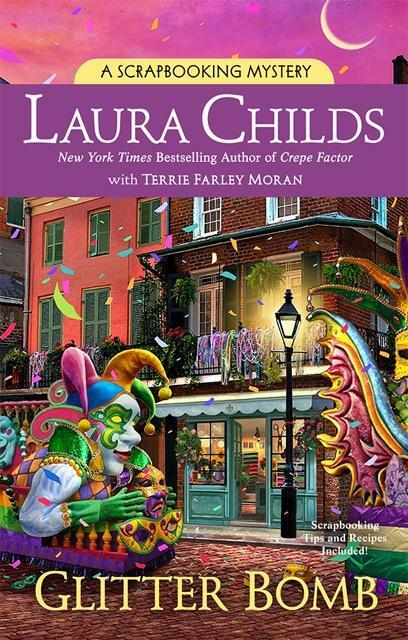 There's a new Bess Crawford mystery by Charles Todd and Kerry Hammond is here today to let us know what she thought of it. A Forgotten Place by Charles Todd is the 10th book in the Bess Crawford mystery series. The book was published September 18, by William Morrow publishers. Even though the armistice has been signed and the fighting is over, battlefield nurse Bess Crawford is finding herself as busy as ever. There are plenty of injured soldiers whose suffering is only beginning. Many have become amputees and the prospect of returning to their families less than whole can feel like a fate worse than death. Bess finds herself dealing with psychological wounds in addition to the physical. Captain Williams, an amputee himself, tries to help Bess improve the morale of his men, but many who are released from the hospital’s care are unable to face the life they left, choosing instead to end their lives. When Bess receives a letter from the Captain after he and his men have returned to Wales, she feels compelled to travel to a remote area in the dead of winter to check on her patients. What she finds is a small town full of secrets, one that does not welcome outsiders. Beth is stranded when her driver leaves in the middle of the night without a word. With no way to contact her family or the military hospital, she takes it upon herself to investigate the strange happenings. Ships are crashing at the shore, townspeople are being attacked, and Bess feels that her own life may be in danger. The atmosphere that the Todds create in A Forgotten Place is the reason I think it is one of the best book in this series. The Todds have captured the eerie setting of the Welsh coast and I felt transported to the cold, harsh locale. The storyline kept me guessing and I enjoyed watching the mystery unfold. As an added bonus (for those who are familiar with the series and the recurring characters) it’s fun to note that Simon makes an appearance. 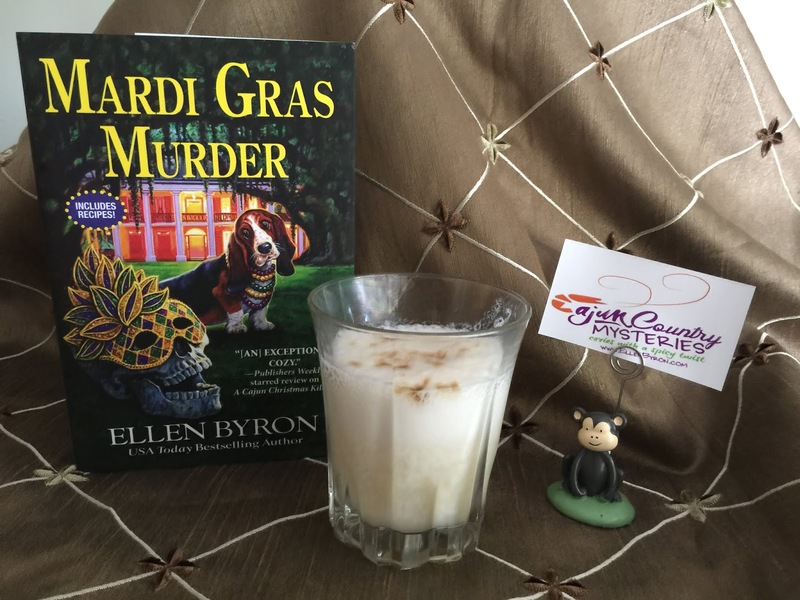 Ellen Byron, author of the Cajun Countries is here with a fabulous banana flavored cocktail and a delicious new book, Mardi Gras Murder. Read the first page of Ellen's book at the end of the post. Bananas have a storied history in Louisiana. Imports began in the 1870s. By the 1950s, New Orleans was nation’s largest port of entry for the tropical fruit. This is why, when I decided to invent a cocktail for Mardi Gras Murder, my latest Cajun Country Mystery, I began with the banana. In the fictional town of Pelican, Louisiana, Mardi Gras may be the most celebrated holiday of the year. Traditions include a big parade, a pageant, a gumbo cook-off, and several Courir de Mardi Gras (Mardi Gras Runs). At Crozat Plantation B&B, family and guests enjoy a King Cake baked by Ninette Crozat, mother to my protagonist, Maggie Crozat. Everyone washes down Ninette’s delicious pastry with a Banana Bon Temps cocktail. But this year, Mardi Gras in Pelican has been up-ended by the devastating flood that preceded it. The Crozats are determined to triumph over disaster. Still, they can’t help be haunted by a grim discovery in their own backyard. They’ll need more than a few Banana Bon Temps cocktails to get through the holiday. The rain came. Came in a way no one in St. Pierre Parish had ever seen before. Bayous and rivers exploded their banks, turning small towns into lakes. Some residents escaping the deluge had to dodge alligators that the rushing water swept onto their flooded front porches. “It was like the good Lord took all his showers on one day,” Claude Fauchon muttered to the Cajun Navy as the hardy volunteers rescued him and his ancient mutt from the submerged Creole cottage Claude had owned for sixty of his eighty years. The rain sent a torrent of water raging down the usually placid Bayou Beurre. And with it came a community’s rubbish: worn-out tires, a ringer washer, an out-of-date infant’s car seat, even a suitcase full of 1960s- era women’s wigs. The junk backed up against the single lane bridge that ran behind Crozat Plantation Bed and Breakfast, blocking the bayou’s path to the Gulf of Mexico. The bayou overflowed, threatening the B and B’s outbuildings. But an intrepid crew of Crozat family members and volunteers let the relentless rain soak them as they hauled away the detritus of small town life. It wasn’t until they’d almost reached the bottom of the pile that they found the body. The body of a stranger to Pelican, Louisiana.